Where are you really from? You're British. Your parents are British. You were raised in Britain. Your partner, your children and most of your friends are British. So why do people keep asking you where you are from? Brit(ish) is about a search for identity. It is about the everyday racism that plagues British society. It is about our awkward, troubled relationship with our history. It is about why liberal attempts to be `colour-blind' have caused more problems than they have solved. It is about why we continue to avoid talking about race. In this personal and provocative investigation, Afua Hirsch explores a very British crisis of identity. We are a nation in denial about our past and our present. We believe we are the nation of abolition, but forget we are the nation of slavery. We are convinced that fairness is one of our values, but that immigration is one of our problems. 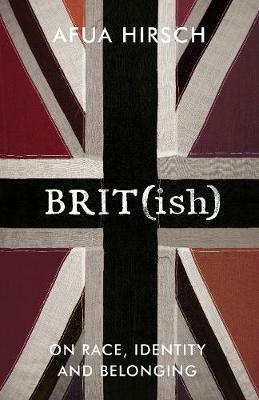 Brit(ish) is the story of how and why this came to be, and an urgent call for change.